It’s science week on No Time for Flash Cards… and I am honored to participate. Allison has dedicated this entire week to science and the information couldn’t be better! Science is Everywhere curiosity of Amanda from Not Just Cute. 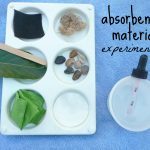 Magic Potion Lab written by Rachelle from TinkerLab. Kitchen Science for Kids from Allison. And today…. it’s me! YAY!!!! 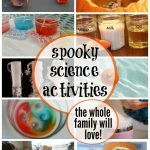 Head on over and check out how we are working on raising little scientists by incorporating the scientific method into everyday play. Allison from No Time for Flash Cards, Amanda from Not Just Cute, Rachelle from Tinkerlab, and I are among the 20 Must Follow Moms on Pinterest.